David Attenborough presents the knot. David Attenborough presents the knot. Knot are dumpy waders which breed in the high Arctic but winter in hundreds of thousands on our estuaries and salt-marshes. 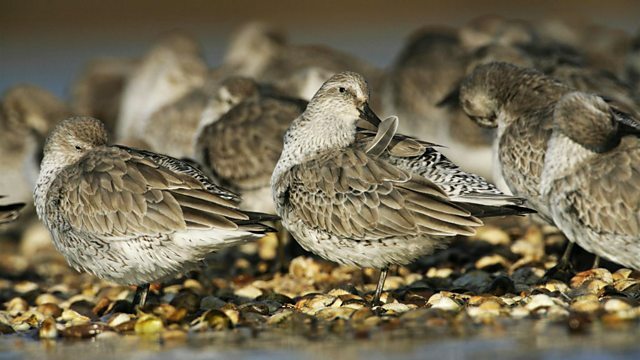 Crammed together shoulder to shoulder at the water's edge, you can see how they got their scientific name Calidris canutus...a tribute to King Canute who discovered, despite his best attempts, that he didn't have the power to turn back the tides.